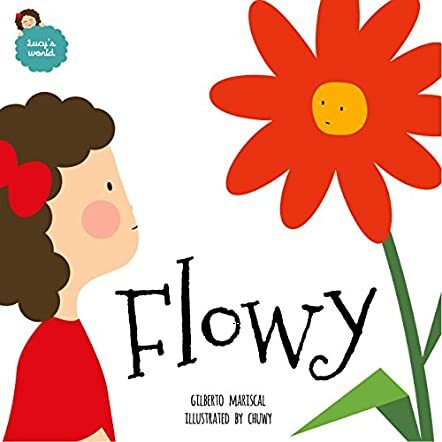 Flowy: Lucy's World Book 2 by Gilberto Mariscal is the story of a little girl named Lucy who loves flowers. Lucy’s mother always takes her to a park filled with flowers whenever she listens to her mother, which is very often. There is a flower shop in the park and one day Lucy asks her mother if she can take a flower. Her mother asks her to choose one and Lucy does not know what to choose. She finally decides on one flower which seemed a little scared. She names it Flowy. Lucy is excited to have Flowy as her friend and dreams of all the games she is going to teach her. Will Lucy be able to give Flowy her time just like she did in the beginning? Read the story to learn more about their friendship. It is a beautiful story of true friendship, love, and responsibility. The illustrations are lovely and colorful and children will enjoy the portrayal of both Lucy and Flowy. The story also gives tips on how to keep plants alive and what needs to be done for the flowers to bloom and not wither away. It is a good story to help children understand what responsibility means. Parents and grandparents can use it as a good bedtime storybook and the concept is good for read aloud sessions in classrooms and school libraries. I enjoyed the story because of its creativity, imagination, and whimsy. It is a good book to teach children about the value of friendship and being responsible toward another person/animal/thing.